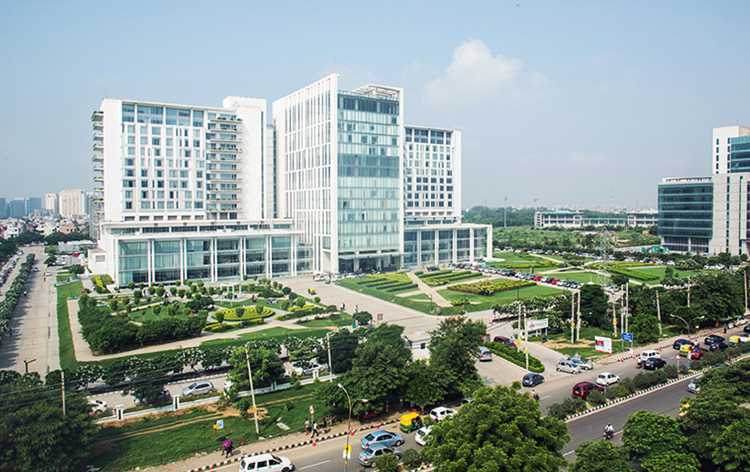 Medanta – The Medicity is amongst India’s largest and most renowned multi-super specialty healthcare center with 1250 beds, 29 super specialty units and more than 800 accomplished doctors. Supported by state-of-art infrastructure, all the departments in the hospital are fully equipped with the cutting-edge technology, modular Operation Theatre and modernized monitoring systems in ICUs. Further to its credits, the doctors at Medanta are highly trained experts with international repute and have contributed in making world records and claimed many firsts not only in India but on a global scale, especially for procedures like Liver transplant, intestine transplant and Knee Replacement surgery. Apart from these specialties, clinical excellence is also marked by other departments like Cardiac surgeries and Neurosurgeries. Medanta is renowned for providing world-class service to its patients. The hospital maintains high standard of quality clinical care and is operational with latest technologies like 256 Slice CT, Brain Suite with Intra-Operative MRI Imaging, Da Vinci surgical system with Robot for Minimal Invasive Surgery, Artis- Zeego Endovascular Surgical Cath Lab- with combined operating room. High-tech machines for diagnosis and scanning like 3.0 Tesla MRI, PET CT, Gamma Camera, Digital X-Ray, Fluoroscopy, Bone Densitometry, 3D and 4D Ultra Sound and Digital Mammography. In 2010, Medanta became the first hospital in the country to offer robotic surgeries in cardiac, urology and gynecology in a single place. In January 2013, a team of doctors headed by Dr. A.S. Soin from Medanta, performed the first successful intestinal transplant in India. Over 500 living donor liver transplants, the highest in India and 2nd highest globally. First successful intestinal transplant in India.First successful robotic kidney transplant. Launched India's first Air Ambulance termed as 'Flying Doctors India', in 2013. Medanta, being a top class hospital in India, is a popular choice for international patients who are seeking treatment for their medical condition in India. On average 20,000 International patients from more than 15 countries receive treatment per year, at Medanta – The Medicity. The International Patient Services of Medanta offers assistance in every step throughout the journey of the patient and attendant, starting from their country to here in India to when they are back in their home country for follow ups. Buddy system to ensure personalized care of the patient throughout the treatment process and assist in the administrative work. Patient support system which focuses on travel, transportation and accommodation details. A separate International Lounge facility. Expansive choice of culinary options suitable to patient’s ethnic and medical need. Language Interpreter to overcome the linguistic barrier. Nearest Airport: Indira Gandhi International Airport which is around 18 Km away from the hospital and it takes about 20 min to reach the hospital. Nearest Railway Station: New Delhi Railway Station which is around 33.6 Km away from the hospital and it takes about 1 hr 20min to reach the hospital. Nearest Metro Station: HUDA City Center which is around 4 Km away from the hospital and it takes about 10 min to reach the hospital. Medanta The Medicity performs 401 different procedures. Click on a procedure name to see more details and to view doctors for that specialty. 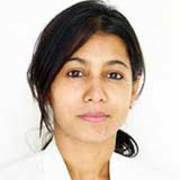 Dr. Jyoti Wadhwani is an intervist with keen interest and a long career, experience in critical care medicine. Previously Dr. Jyoti has been a senior registrar and then a consultant physician and critical care specialist in CHL Apollo hospital, Indore. Her intense interest and professional dedication to the subject has earned her a respectable place in the field. In addition to specially of critical care. Dr. Rajeev Agarwal is a senior surgical oncologist and breast specialist who introduced the practice of surgical oncology and the concept of organ based specialization in oncology to Northern India. Besides specializing in breast conservation surgery, he specializes in sentinel node biopsy and breast reconstruction as well. Dr. Agarwal is also an inductee to the European Society of Medical Oncology. 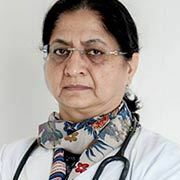 Dr. Tejinder Kataria is credited with founding the Department of Radiation Oncology at both Artemis Heart Institute and the Rajiv Gandhi Cancer Institute and setting up Division of Radiation Oncology at Medanta The Medicity. She introduced India's first Infinity Linear Accelerator with Volumetric Modulated Arc Therapy (VMAT) and North India's first Integrated Brachytherapy Unit. She has also introduced the latest evolutions in stereotactic radiation treatment to Medanta such as whole body stereotactic radiotherapy (SBRT), Image Guided Radiotherapy (IGRT), Intensity Modulated Radiotherapy (IMRT) and 3-D Conformal Radiation (3D CRT).  Dr Rastogi has recently joined Medanta as a Associate Consultant in Behavioural Neurology and Psychiatry. He has completed his training in Psychiatry from UK and has worked as a Consultant Psychiatrist within NHS in UK and is one of the very few Psychiatrists in India who has had formal training in Neurology and has completed M Sc in Clinical Neurology from Queen Square, London which is one of the foremost institutions for Neurology in the World. 4 average based on 60 reviews.